As a pro-choice liberal, I realize I am in the minority of the people who read this blog. 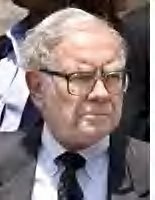 Putting aside our different views on abortion, one thing I must say is that I am appalled by some of the abhorrent rhetoric coming from several conservative, pro-life organizations, one (Human Life International) calling Mr. Buffett a potential “Dr. Mengele of philanthropy.” I realize that is an extreme view, but I find it both tactless and highly insulting to the populations in the developing countries who will be so greatly assisted by this incredible donation being made to the Gates Foundation.